Seiko Kinetic watches are powered by the motion of the wearer’s arm and stores the energy in the Kinetic electricity storage unit with no battery ever needed. After charged they will go for number of months without being worn. If it gets low, with just the movement of the arm it recharges. There is also a indicator button which keeps you informed of its status. This watch Showcasing Stainless Steel Case and Bracelet with Kinetic Movement, this watch have a good looking Black dial with Lumibrite hands and markers, along with energy depletion forwarning function and overcharge prevention function and Six month energy storage, this kinetic watch features an automatic power generator. Also offering a scratch resistant mineral crystal glass, this timepiece is water resistant to 100 meters. The Calibre of this watch is 5M62. The Seiko Kinetic SKA433P1 is an kinetic mechanical watch. To initially start the watch swing rhythmically at a rate of twice a second it from side to side. If the watch is worn on the wrist, the mainspring will be wound automatically through normal wrist movement. 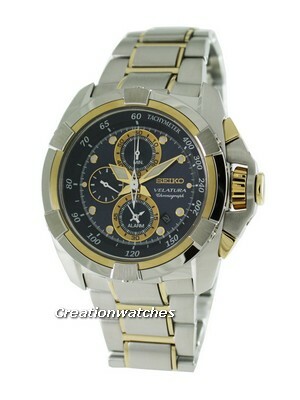 If you don’t wear the watch regularly even then the watch keeps perfect timing by Seiko kinetic-movement. 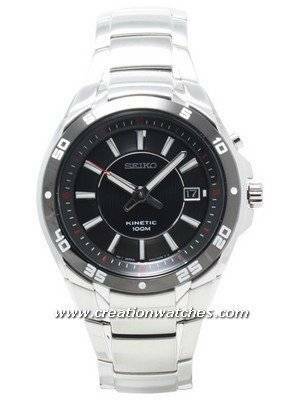 Watches using the Seiko Kinetic mechanism, besides featuring a traditional quartz mechanism, also feature an automatic mechanism which generates electricity with the help of the motions of the wearer’s hands, which in turn powers the quartz mechanism. Newsletter : Orient Watches on Sale – Additional 5% Discount Coupon Code Inside!!! Newsletter: Seiko Kinetic Diver’s SKA369P1 for only $219!